Musically speaking, I think my entire prior life had just been a warmup for this year. I saw four of my favourite artists in the world live, some multiple times, and went to plenty of festivals with lineups that bore striking resemblances to my dream festival lineup. 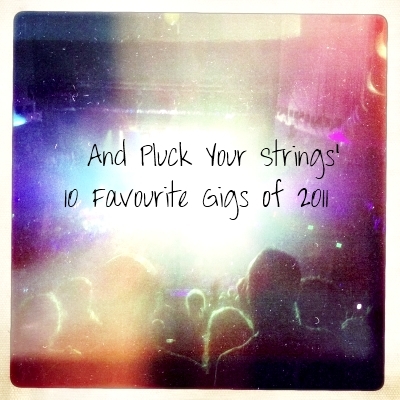 With only a few exceptions, you could pretty much name this list the ‘Best Gigs Of My Life’ and it would still be accurate. As cliched as it sounds, I really do consider myself incredibly lucky to have witnessed all these gigs in just the one short year, and I honestly do think it has been an unparalleled year for bands touring Australia, at least in recent memory. Many of these gigs have given me moments and memories that will stay with me forever, and more than anything they demonstrated just how powerful, important, and magical music can be. 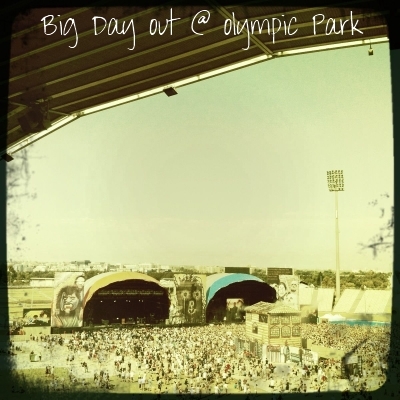 This one’s a bit of a surprise, even to me, but looking back I realise that I had an absolute ball at the Big Day Out in Sydney. I far preferred the venue to the Melbourne equivalent, and paying half price for a ticket made the day infinitely more enjoyable. Plus the music was at times flawless, with my favourite act of the day being Edward Sharpe And The Magnetic Zeros, who played one of the funnest festival sets I have ever seen. It’s not soon that I’ll forget taking over the lead vocals of Home with a thousand other voices. 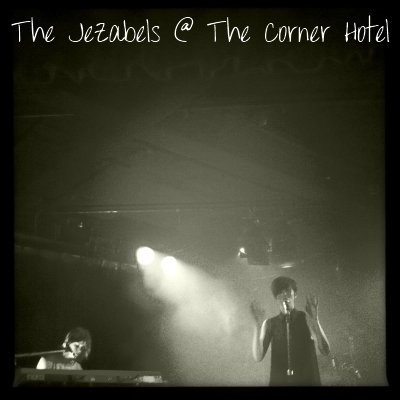 I went to both Jezabels shows at The Corner this year, and they have become something of a personal swansong for this once hidden gem of a band before they started playing much larger venues. These were both impeccable shows, full of material from the band’s brilliant EPs and respectful but fun-loving crowds. Meeting the band after both shows was also very cool. As much as I hate the fact that I will never be able to see The Jezabels at venues as small as The Corner again, they deserve nothing less than the success that they have found, and it couldn’t happen to a bunch of nicer people. 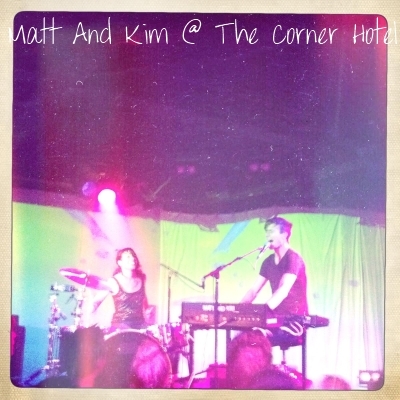 Matt And Kim was easily the most intense gig that I went to this year. It’s impossible to overstate the energy at this show, and blurry highlights are coming back to me now as I think about it, including supporting Kim during a ‘booty dance’, Sunlight, and just generally going mental for the entire set. I don’t think I’ve ever seen performers work a crowd as effectively as Matt And Kim did, and the fact that I ended the show barely able to speak and completely drenched in sweat says more about the gig than I ever could. 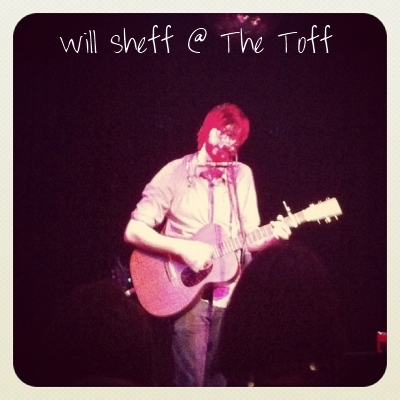 I couldn’t quite believe my eyes when I saw that Will Sheff, frontman of Okkeril River, would be playing a solo gig at The Toff. A chance to witness a master of his craft at a venue as intimate as this is something to be cherished, even more so when that master is the frontman of one of your favourite bands. Will put on a stunning and captivating show, including acoustic renditions of Red and The President’s Dead, two of my favourite Okkervil River tracks that the band rarely play live anymore. I still consider myself truly lucky to have been at this show, and I wouldn’t change one thing about it. Immediately after these gigs I would have picked them, in Sydney and Melbourne respectively, to easily top this list. 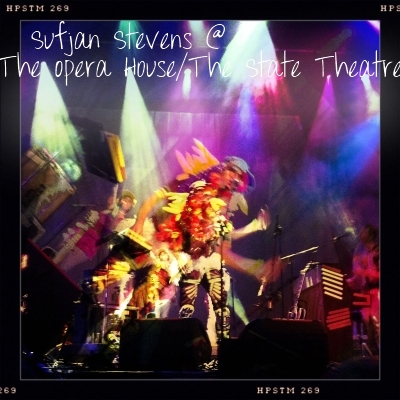 In hindsight however I’ve realised that as a whole experience I have enjoyed quite a few other shows more this year than Sufjan Stevens, even though the encores will forever be remembered as two of the greatest music experiences of my life. The main sets however have kind of faded into obscurity a bit for me personally, except of course for Impossible Soul, which was epic on both occasions. Still though, these were wonderful concerts that produced plenty of incredible memories, Chicago of course being chief among these. 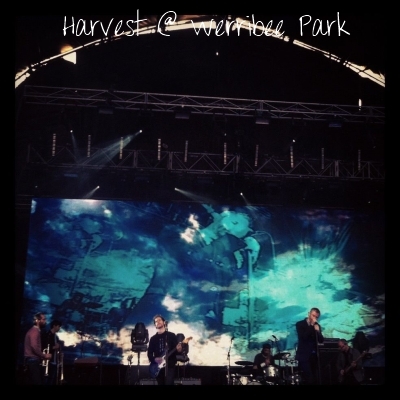 Harvest was the best single-day festival that I have ever been to. It featured a lineup that many international multi-day festivals would envy, and man did the bands deliver. Add to this an idyllic festival setting, great company, and a very chilled crowd, and you really do have a day to savour. Predictably The National were my unquestioned highlight of the day, but other acts such as Bright Eyes and Portishead were also fantastic. Bring on next year, and hopefully many more afterwards. It’s rare that you get to see one of music’s true greats, not to mention one of your personal heroes, in a venue as beautiful as this, accompanied by nothing other than an acoustic guitar. But that was exactly what I got at this gig, and I don’t think it would have been humanely possible to enjoy it more than I did. Eddie was flawless, playing gorgeous music taken from the ‘Into The Wild’ soundtrack as well as plenty of stripped down versions of Pearl Jam tracks. Unsurprisingly, he was also completely charming and hilarious. 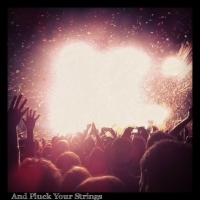 My personal favourite tracks included the gorgeous Man Of The Hour, the euphoric Rockin’ In The Free World, and the cathartic Hard Sun, but really the whole show was a highlights reel. No one does it quite like Eddie. 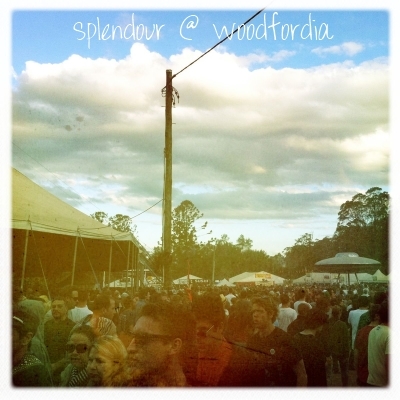 Wow, where to start with Splendour In The Grass this year? Yet again it was the perfect festival, and going with a media pass certainly significantly added to my enjoyment, as did the fantastic group of people we had there. There were too many musical highlights and too many hilarious moments to even begin to list, and as an overall experience I really do think that this was the best festival that I have ever been to. Everything just went so perfectly. I even have fond memories of the ten-hour long wait at the airport we had on the way back, and that really is saying something. Please invite me back next year. 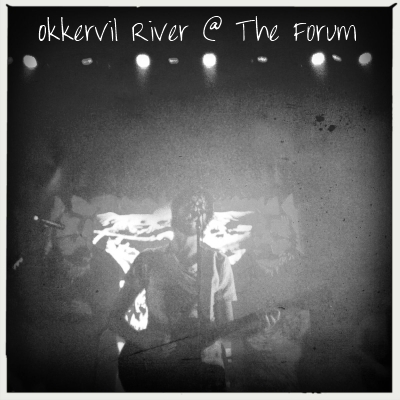 I thought I may have missed my chance to see Okkervil River, one of my favourite bands in the world, live. I was therefore thrilled when they announced an Australian tour, and sure enough, at the idyllic venue of The Forum, the band excelled and put on one of the best individual gigs I have ever witnessed. The band were impeccable, demonstrating all the nuances of their music that make me love them so much. The encore in particular was just ridiculous, as Westfall led into Unless It’s Kicks and nothing else mattered except singing as loudly as I could and reaching towards the starry ceiling along with the entire crowd. I almost don’t want to talk about these two shows (the first in particular) for fear of somehow tarnishing what has become one of my favourite ever memories by not doing them justice. 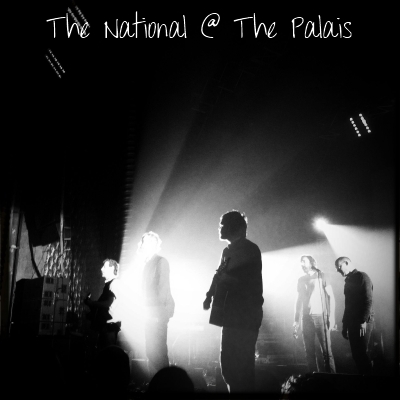 The National are my favourite band, and seeing them live was a dream come true, let alone seeing them live from the second row of The Palais, as I did at the first of these two shows. The band were out of this world incredible, and truly stand out head and shoulders above every single other band that I have seen live. Standing surrounded by three of my best friends as Matt Berninger stood on top of our seats, our hands supporting him as he momentarily paused and we screamed in unison “IT TAKES AN OCEAN NOT TO BREAK”, without a single other thought or care in the world, was one of the best moments of my life.